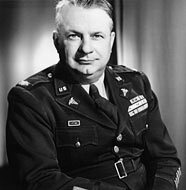 LTC Stephen C. Sitter. Sitter was a member of the hospital staff at Cabanatuan Prison Camp No. 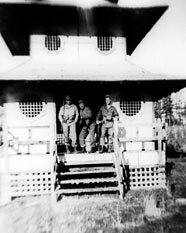 1 on 30 Janaury 1945 when the Japanese POW camp was liberated by Alamo Scouts, Rangers, and Filipino guerrillas. 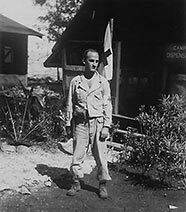 Sitter volunteered to stay behind at Barrior Balincari with the Nellist and Rounsaville Teams to attend to the sick and seriously wounded, including CPT James Fisher, the Ranger doctor who later died about the same time the libertees reached American lines. Lieutenant Colonel Stephen C. Sitter and family after the war. Robert S. Sumner as the rank of Captain. Taken on a Sunday morning after a whopper of a party the evening before. Tokyo Japan, April, 1946. Robert S. Sumner with first born son, Les. 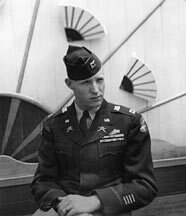 Photo of 2LT Eugene L. Kersting at home prior to deployment to the Southwest Pacific. Kersting was a member of the 5th Alamo Scouts Training Class. 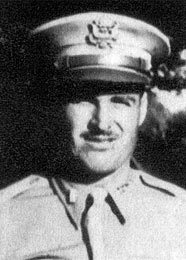 He and SSG Wendell Holder of Bowling Green, KY, drowned when their rubber boat capsized during training at Tami Beach, New Guinea, on 9 October 1944. 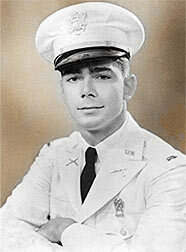 Kersting in dress white uniform. Circa 1943. 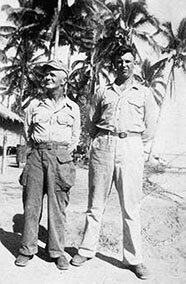 Hezzie Glasgow of the Alamo Scouts Training Center Staff (left) with unidentified soldier. 1944-45. Can anyone ID him? 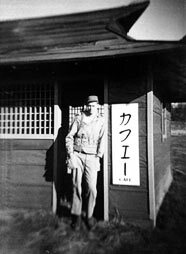 SGT Frank A. Feola, a graduate of the first ASTC class on Fergusson Island, stands in front of the dispensary near Finschaven, DNG. 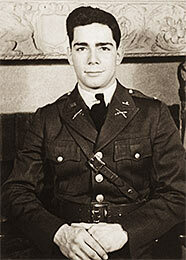 Feola was retained as a medic and served with the Alamo Scouts from 8 December 1943 to 7 December 1944. 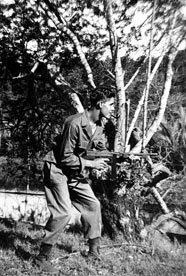 Prior to coming to the Alamo Scouts, Feola had served on Guadalcanal and Woodlark Island, where he earned the Combat Medical Badge. April-May 1944. Frank Feola (right), shows PFC Webb (first name unknown) of the Overhead Team the distance to Chicago, Illinois (Note the sign fourth from the top). Fergusson Island, Dutch New Guinea. 8 January 1944. 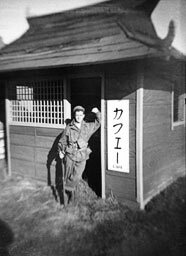 Soldiers at the ASTC at Finschaven display a captured Japanese flag. 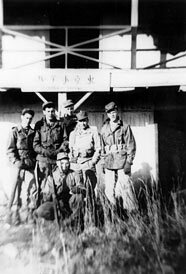 Left to right: Frank Feola, Leonard Eptstein, unknown, and Harry Golden. Apr-Jun 1944. 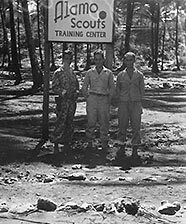 Frank Feola (right) and two unidentified Scouts pose under the ASTC sign near Finschaven, DNG. June 1944. Leonard Epstein (front left) and Feola (back left), along with three unidentified members of the Overhead unit show off two enemy flags captured by Alamo Scouts. Finschaven. May-June 1944. Feola (second from right) and friends pose for a photo with New Guinea natives at Mange Point near Finschaven. Apr-Jun 1944. 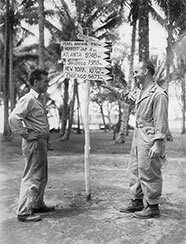 CPL Harry Golden (far right) takes a light moment to demonstrate the proper use of a captured Japanese samurai sword to a New Guinea native and Frank Feola. Mange Point, DNG. Apr-Jun 1944.